We recently had 20 relatives over for a barbecue. I came up with the most inexpensive sides I could think of, and this was one of them. 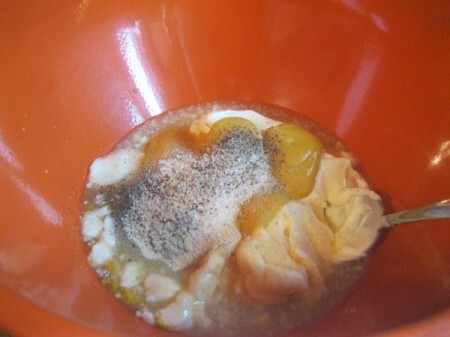 I originally found this recipe on All Recipes. 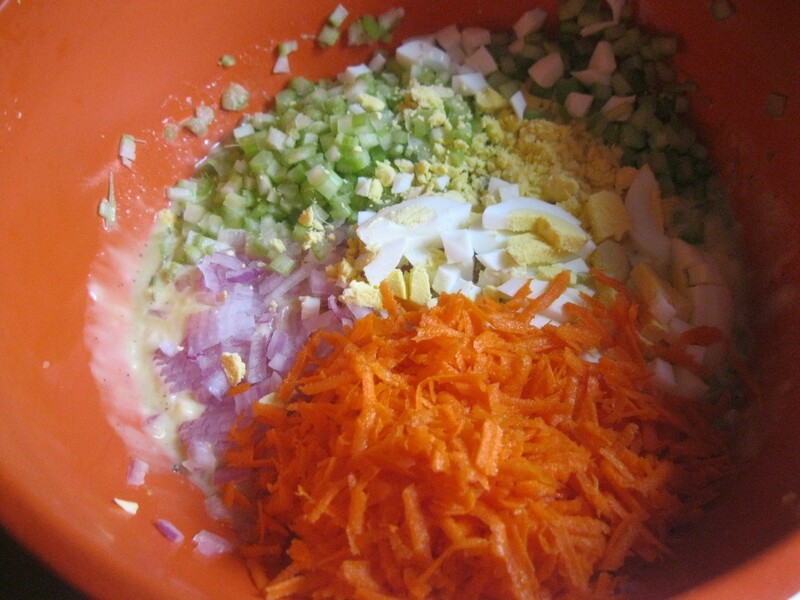 I took all the comments that people wrote they would put in it and adapted it into this delicious salad. It makes a lot but we eat it for breakfast, lunch and dinner for a few days. It's that good! Yield: A lot of salad! 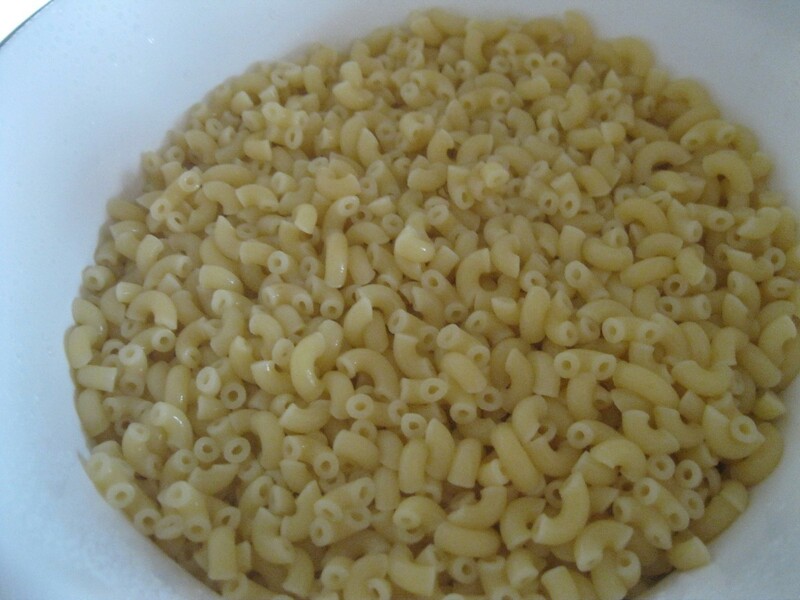 Cook macaroni according to the instructions on the package. Drain pasta. Run cold water over it until cooled down. Let drain. While macaroni is cooking, mix mayonnaise, vinegar, sugar, mustard, salt and pepper. Add chopped ingredients; red onion, celery, carrots, eggs and pimento (or roasted red bell peppers). Mix. 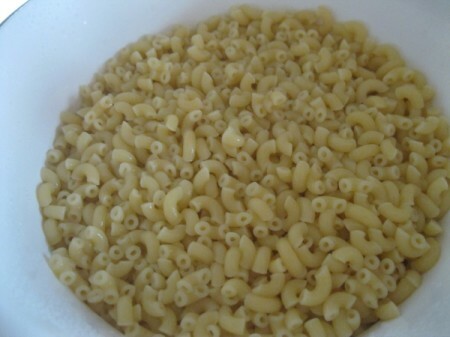 Add macaroni. 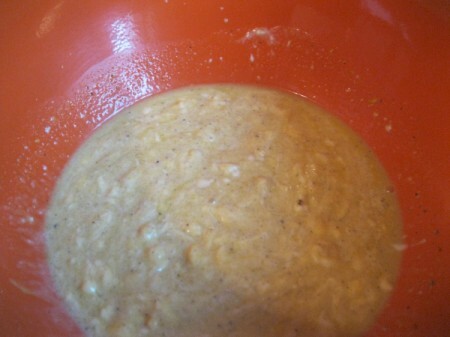 Stir until mixed. It'll be soupy-looking. But don't worry, it thickens up in the refrigerator. 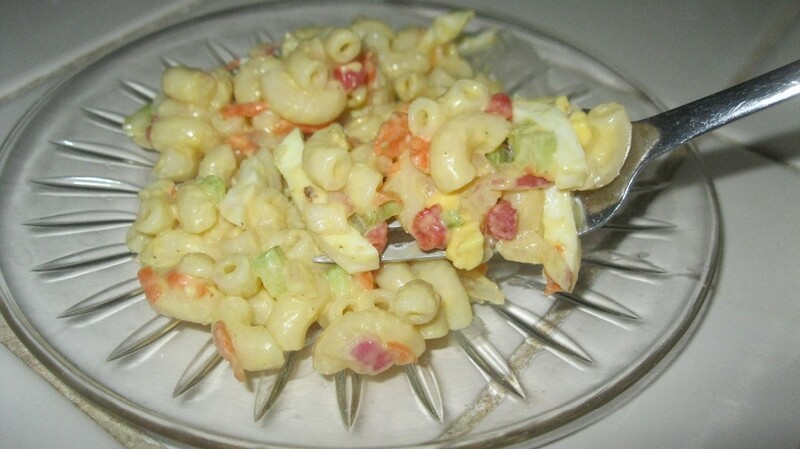 Refrigerate macaroni salad at least 4 hours or overnight. If you have slightly dried cheese, grate or cut slivers with a peeler and add. Bits of ham as well are a good addition. I refer to my macaroni salad as fridge cleaner salad. It's never the same twice. 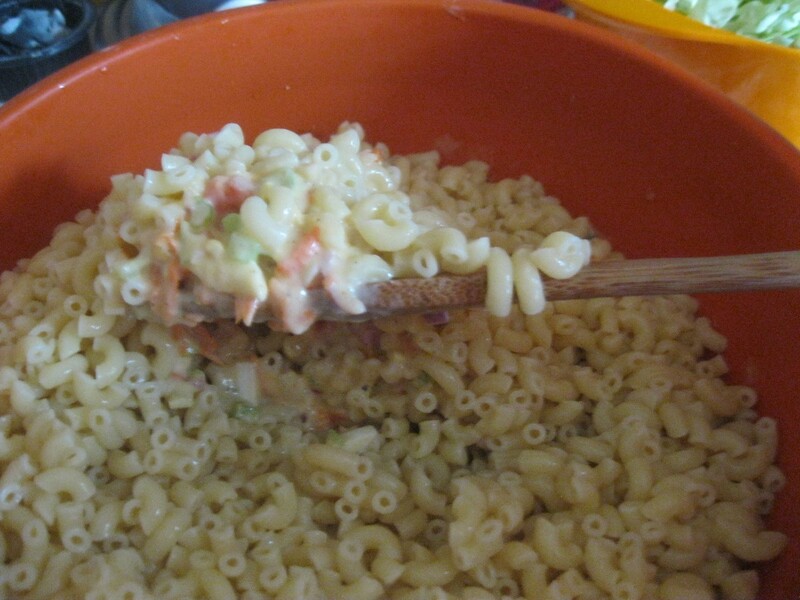 Add shrimp to your macaroni salad (nice-sized shrimp). Very good!